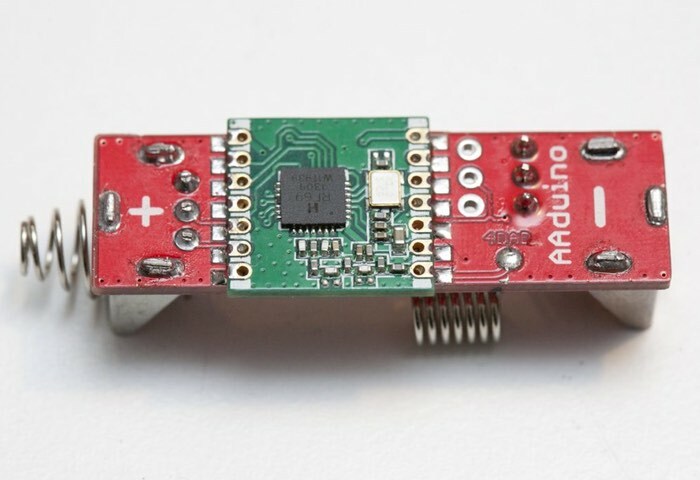 Arduino enthusiasts looking for a super small Arduino-based development board may be interested in the AAduino, which takes the form of an Arduino clone that is the same size as a AA battery. The AAduino board measures just 44.9 x 13.8 mm and is equipped with a Atmel ATmega328P micro-controller with 32KB of flash memory together with 1024B of EEPROM, and 2KB SRAM. 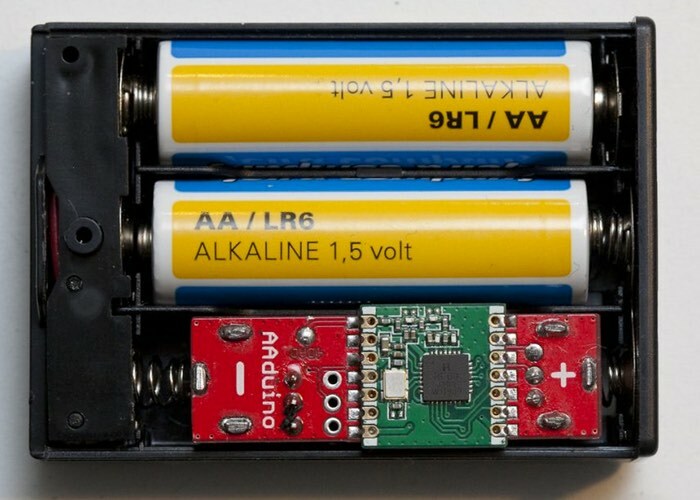 Its creator Johan Kanflo has down clocked the processor from 20 MHz to 8 MHz to save on voltage and added a unique way to add power to the tiny Arduino development board by including the connections directly onto the board allowing you to insert it into a AA battery holder with ease. Kanflo explains more about the inspiration behind the tiny Arduino development board and more about its features and functionality. I have been using Nathan Chantrell’s Tiny328 for quite some time as my swiss army knife ISM radio node. Now I wanted a more slim ISM node as my setup with a Tiny328 on a breadboard is not very “deployable”. For more information on the new AAduino Arduino based board jump over to the Johan Kanflo website for details following the link below.